Attention lovers of books about Paris, Milwaukee, and bookstores! 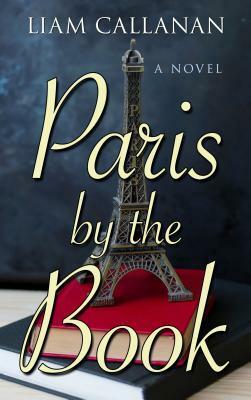 The primary setting of Paris by the Book is a charming English language bookstore in Marais, Paris, but the story begins in, and has on-going ties to, Milwaukee and Lake Michigan. The complexities of love and family dynamics are mixed with mystery in this heart-churning story. Reading Paris By The Book is akin to Alice’s experience in the rabbit hole where one continues to arrive upon something which leads to something else. Eventually, and before you wish it would happen, you arrive at the end of the tunnel. Lucky for us then that this particular book provides a Parisian reading list for us to follow, like breadcrumbs, to our fill. A love story, a mystery, and a book where place is as big a character as any, we will find ourselves, lose ourselves, and somehow emerge, like Alice, better for the experience. Liam Callanan is a novelist, teacher and journalist, whose first novel, The Cloud Atlas, was a finalist for an Edgar Award. Winner of George W. Hunt, S.J., Prize for Excellence in Journalism, Arts and Letters, Liam has published in The Wall Street Journal, Slate, The New York Times, The Washington Post, and The San Francisco Chronicle, and has recorded numerous essays for public radio. He's taught for the Warren Wilson MFA Program for Writers and the University of Wisconsin-Milwaukee, and lives in Wisconsin with his wife and daughters.